I finally made the 360 panorama of the Tottori Sand Dunes. 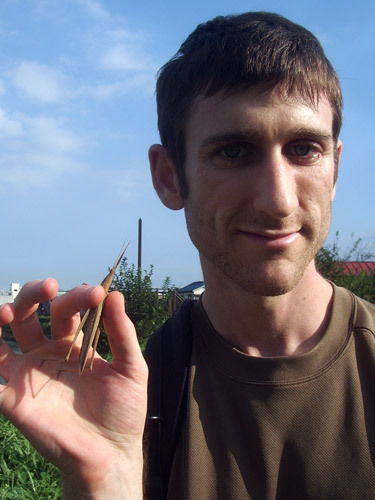 I got me a Japanese grasshopper. 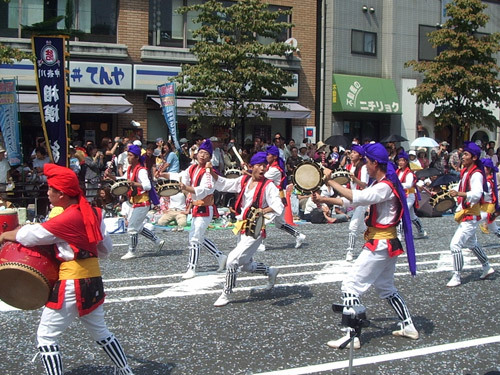 As I was passing through Machida one Sunday afternoon, I came across an Okinawan eisa festival. There were a lot of eisa groups dancing in the street. There were a also a lot of people crowding and watching and waiting in huge lines for probably not so good Okinawan food. 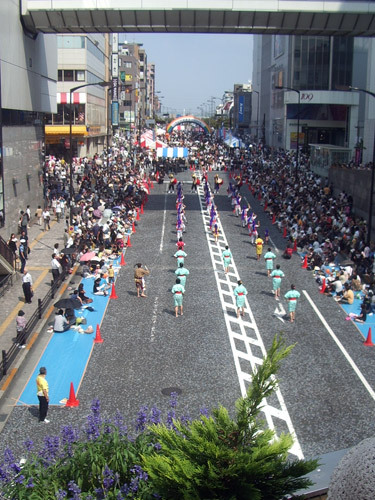 Having lived in Okinawa, I got to see plently of eisa and eat lots of great food, but without the Tokyo crowds. 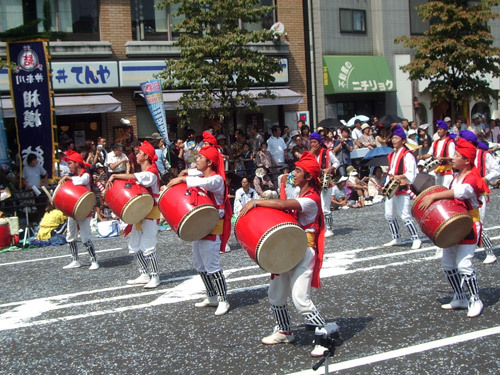 Tsukimi is a Japanese moon viewing festival that honors the first full moon of Autumn. On this day people eat tsukimi dango. 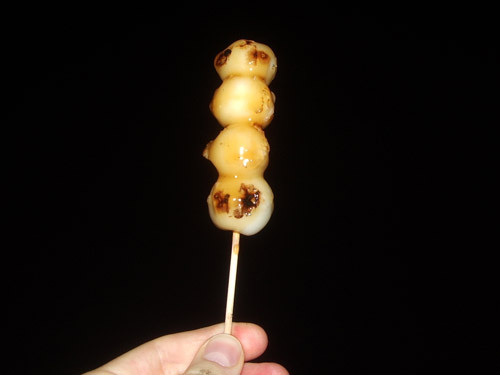 This year I made dango and had a small tsukimi party with some of the people in my building. 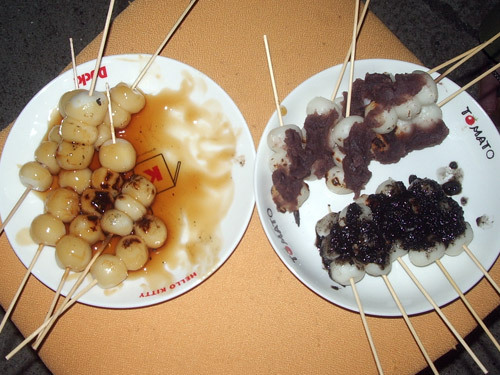 I made 3 kinds of dango: mitarashi, black sesami, and anko. All were delicious. One of the other things I did over my summer vacation was study and learn how to make Japanese sweets. 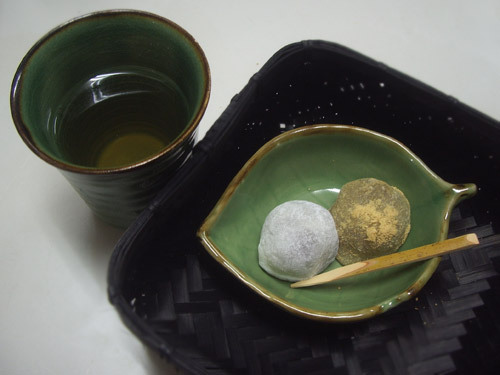 Although, I have made Japanese sweets in the past, I wanted to go a level up and try something a little more difficult. I practiced making 2 different kinds of anko from red beans, and also started working with different kinds of mochi. I successfully made Daifuku and Uguisumochi.